Anglian Home Improvements are celebrating their 46th anniversary and are sharing this celebration with you. Pairing up with the EDP and Evening News you have the chance to win tickets to see the high flying Canaries, take on bottom of the table Bolton on Saturday 4th February. There are 3 pairs of VIP tickets up for grabs sitting in the Anglian Home Improvements corporate box at Carrow Road, which includes complementary food and drink. However, the prize gets better as you also get a tour of the ground before the game, and two of the lucky winners will have the opportunity to present the Anglian Home Improvements Man of the Match award on the pitch at the end of the game! To enter this competition go to the EDP website. 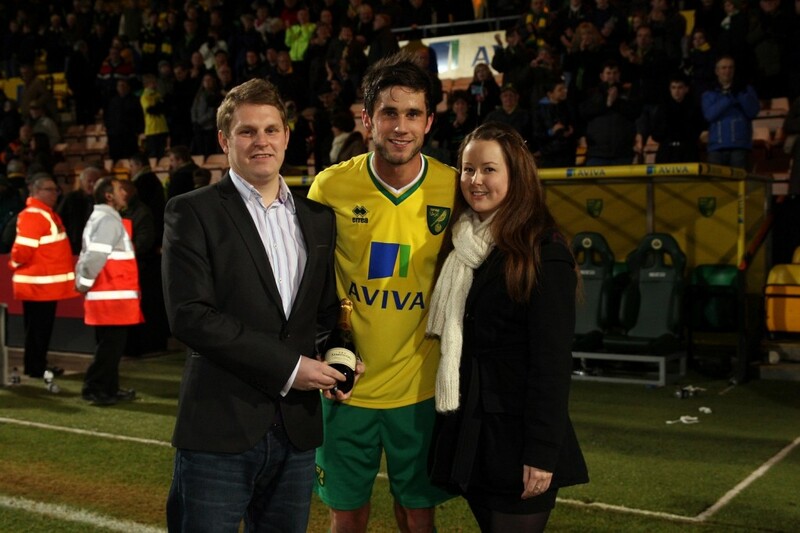 It’s worthwhile entering as you could be pictured with a star of Norwich City’s Premiership team!